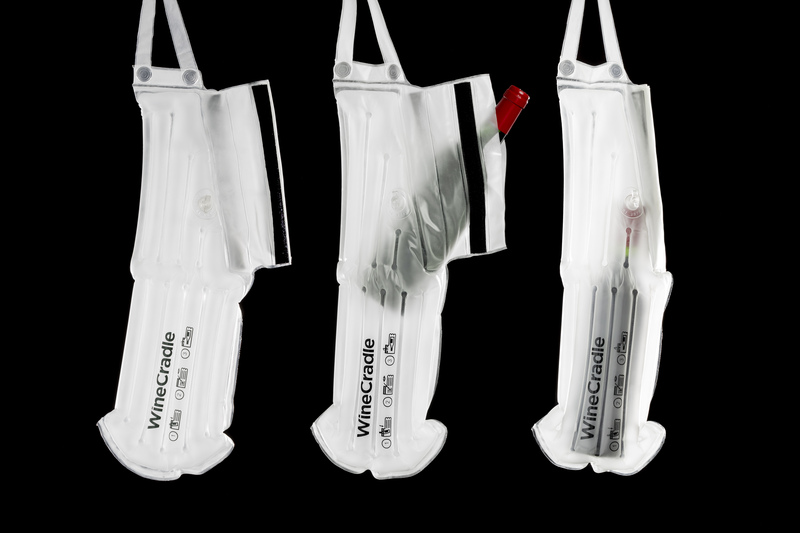 WineCradle is an inflatable, re-usable and water-tight (and wine-tight) way to transport bottles of wine, beer and liquor. 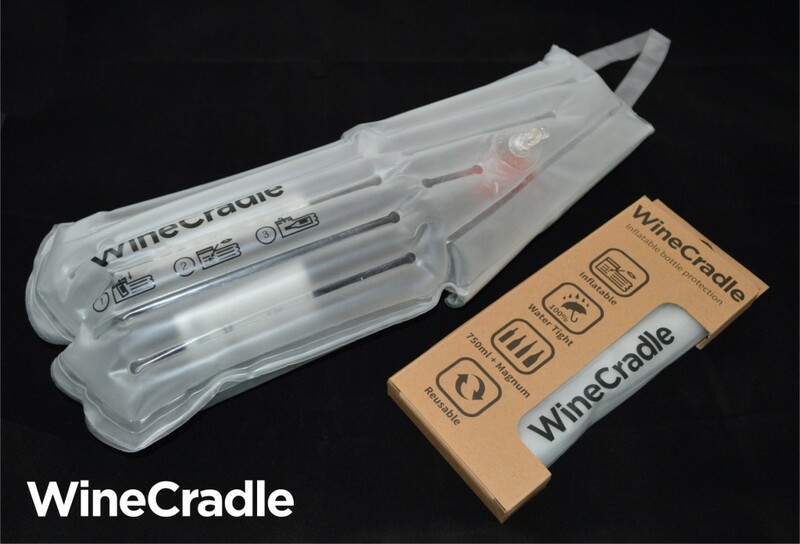 WineCradle helps you avoid the unhappy scenario of bottles breaking inside your suitcase . 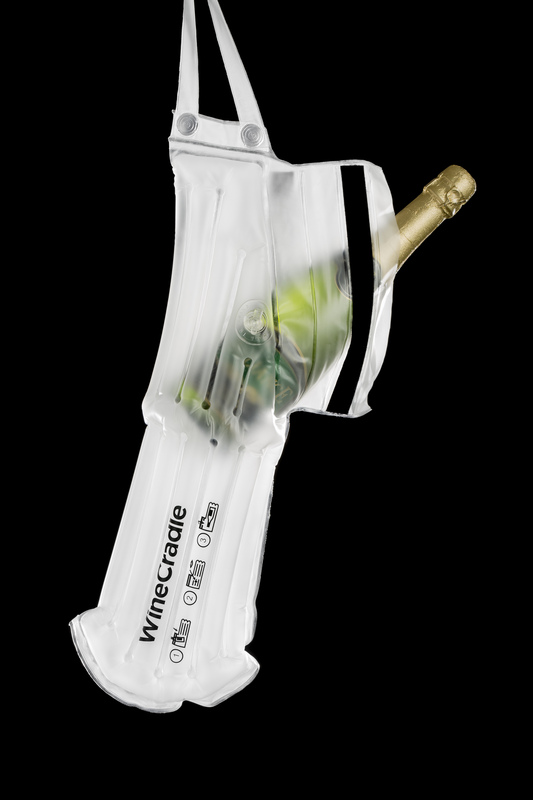 When you’re travelling and find a sensational bottle of wine you want to bring home with you, just slip it into the inflatable, water-tight WineCradle. No worries, no stress. Just check your luggage, enjoy your flight and say ‘Ahhh’ when you get home and open the bottle to enjoy a glass of fine wine. 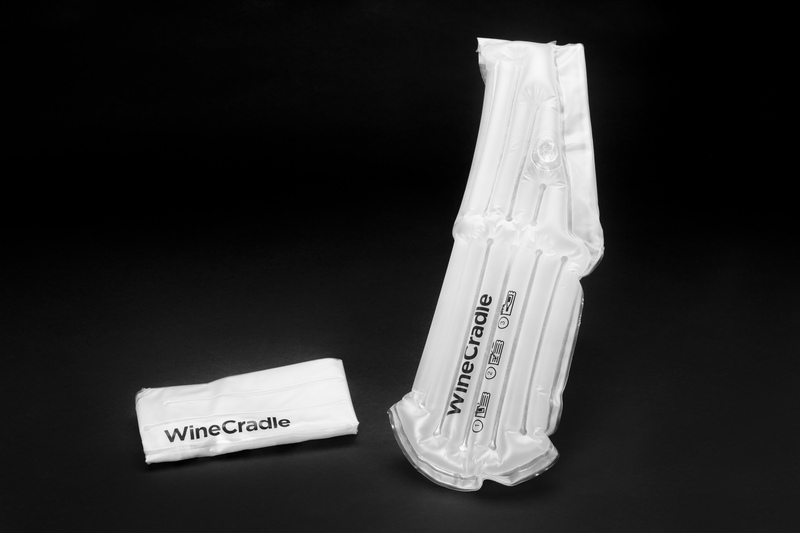 WineCradle is a compact and inflatable bag that can be used for the safe transport of wine, beer and liquor. It can be inflated like a beach ball and deflated after use. It can be used multiple times. Each WineCradle protects one bottle. 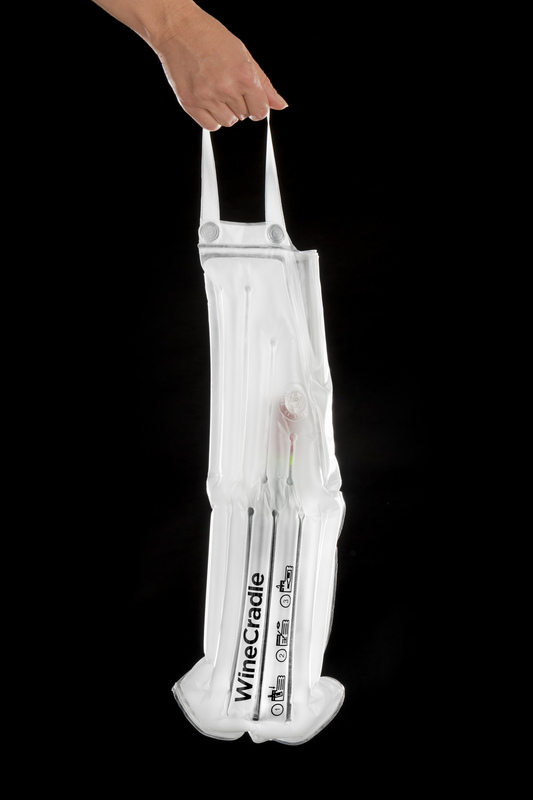 The WineCradle has been designed to protect wine bottles (750ml) but also it works well with 1 liter tax-free liquor bottles and even magnum bottles (1,500ml). Are you a fan of sauternes or other dessert wines? Small bottles (e.g. 375ml) can fit into the WineCradle too, and some glass perfume bottles and olive oil bottles may fit as well. Too much clothes in the suitcase? 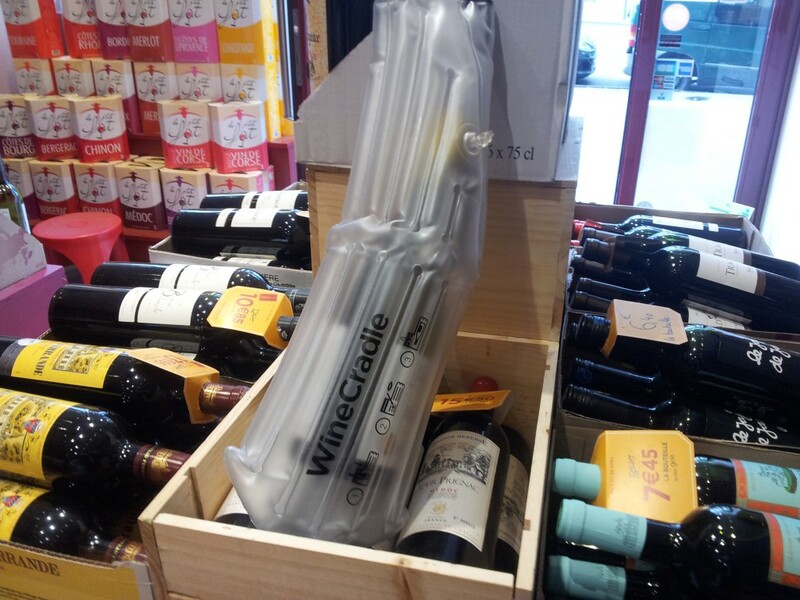 Don’t inflate the WineCradle but pack your wine bottles in it and wrap them in your clothes. This way spillage is avoided. Use your WineCradle at the beach or when bringing bottles of wine for the picnic too!